Melania Trump's spokeswoman defended the first lady following comments made by the president's first wife, Ivana Trump, claiming she's the one true first lady of this administration. Spokeswoman Stephanie Grisham said on behalf of Melania Trump that the first lady "has made the White House a home for Barron and The President. She loves living in Washington, D.C., and is honored by her role as First Lady of the United States." Barron Trump to Attend St. Andrew's Episcopal School in Md. 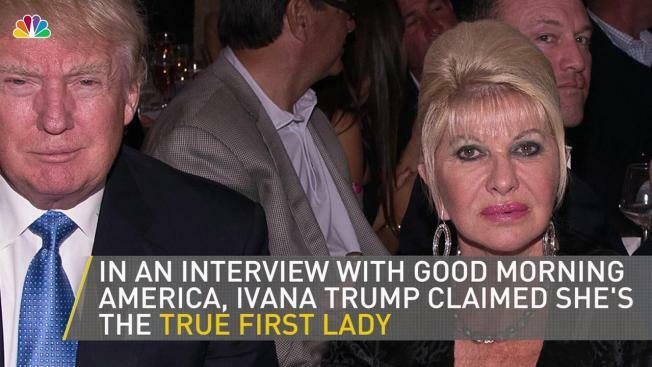 During a recent interview with "Good Morning America," Ivana told the hosts she has the "direct number to the White House" but she just doesn't really use it. 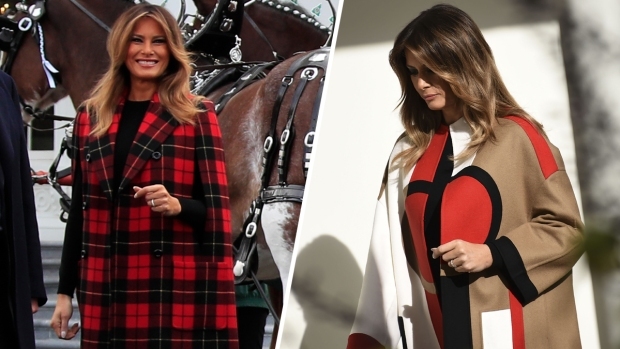 "I don't really want to call him there, because Melania is there, and I don't want to cause any kind of jealousy or something," she said, then added, "because I'm basically first Trump wife, okay? I'm [the] first lady." The statement from Melania's spokeswoman dismissed Ivana's claims, saying Melania is honored to be in her position and plans to use it for good causes. "[Melania] plans to use her title and role to help children, not sell books. There is clearly no substance to this statement from an ex. Unfortunately only attention seeking and self-serving noise." Still, Ivana doesn't seem jealous of Melania's position. "I think for her to be in Washington must be terrible," Ivana said, according ABC News. "It's better her than me. I would hate Washington." Ivana and the president were married from 1977 to 1992 and had three children together: Donald Trump Jr., Ivanka Trump and Eric Trump. When asked if she ever thought her ex would be president, Ivana said she did. "Donald got letter from Reagan, President Reagan, and he said, 'You should run for president,'" she said. "And I think he could do it if there would not be a scandal." Of course, the scandal Ivana was referring to was Donald's affair with Marla Maples, whom he married in 1993. Ivana didn't even refer to Maples by name but instead called her a "showgirl." Ivana also said that she offers the president advice and that she agrees with him on certain aspects. "Sometimes I tell him to just, not to speak that much, and tweet are the tweets," she said. "I think I don't disagree with him because he has so much press against him, so if he says something his words are going to be twisted immediately."